Aztec's Treasure Feature Guarantee allows you travel back in time to the height of the Aztec civilization and join in the hunt for untold amounts of gold, silver and jewels. This game is a fun version of our Aztec's Treasure progressive slot featuring a free game in addition to the regular slots. To play activate the free game mode and you'll be able to win up to 25 extra free spins. Your chances to play the feature game increase with every spin you take. The Aztec's Feature Guarantee ensures that you'll be able to play a bonus round and in turn play for the chance to win up to 25 extra spins. Win a fortune with Aztec's Treasure feature guarantee! Get ready to experience an adventure like no other! The time has come to explore the wild jungles in Mexico in search for treasures and gold. Aztec's Treasure Feature Guarantee is a five reel slot machine that will make your wildest dream come true. 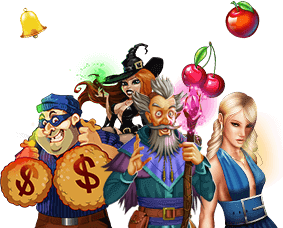 Aztec's Treasure Feature Guarantee comes with bulky payouts, a free game feature and an amazing Progressive Jackpot. This game also guarantees that you will enjoy the free game feature within the first 150 spins. Aztec's Treasure Feature Guarantee slot machine is played at a maximum 25 lines and a max bet per line of $5. You may spin the reels by simply pressing the Spin button or you can have the game spin the reels for you by using the Autoplay feature. The Aztec King serves as a wild icon, substituting for any other symbol in a winning combination except scattered "Idols". Three or more scattered "Idols" appearing anywhere will trigger the Free Game Feature. The Free Game Feature will award up to 25 free games during which prizes are tripled. Each scatter appearing during free games will award a Bonus Prize equal to the triggering bet. This feature will be triggered within the first 150 spins. If you want to find out how to trigger it, make sure to practice on our free slot games. Aztec's Treasure Feature Guarantee Progressive Jackpot is triggered totally at random, regardless of the amount wagered. Stopping at the right time can make the difference between having a great time and losing lots of money. Substitute: the substitute icon serves as a wild symbol substituting for any other symbol in a winning combination. Scatter: three or more scattered symbols appearing anywhere will trigger the Bonus Feature. Progressive Jackpot: the Progressive Jackpot is triggered at random regardless of the amount wagered.